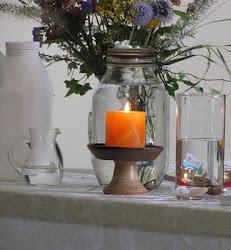 UU A Way Of Life: Brokenness is the work of the ego. It does not exist in the mind of God. Brokenness is the work of the ego. It does not exist in the mind of God. All Souls Church in Tulsa, OK has a theme based ministry meaning that all church activities focus on a different theme every month. The theme for February, 2018 is brokenness. Leonard Cohen's great song, Anthem, has a lyric "There is crack in everything. That's how the light gets in." Leonard Cohen may have taken this idea from Rumi, the great Muslim poet. In A Course In Miracles it is taught that the gap, the crack, the separation is the tiny mad idea of the ego. People on the path of the ego are broken, lonely, isolated, alienated, separate from their brothers and sisters and existence. People on the path of the ego have not realized and become aware that they have done this to themselves and it is unlikely to change until they become aware of the choice they have made and choose again, hopefully, for the path of the spirit which is a path of healing, reconciliation, joining with their brothers and sisters and existence. It is a scary thing to give up one's ego, to surrender as the third of the twelve steps of Alcoholics Anonymous advises us to do, "Made a decision to turn our will and our lives over to the care of God as we understood Him." 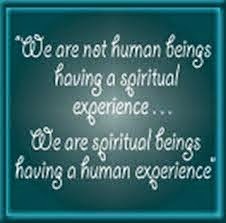 This shift from the path of the ego to the path of the spirit is what A Course In Miracles calls a "miracle." The beginning of the text of A Course In Miracles lists the 50 principles of miracles. The eighth principle states, "Miracles are healing because they supply a lack; they are performed by those who temporarily have more for those who temporarily have less.."
The miracle heals the brokenness. The miracle rests in the understanding and awareness that we are participants in God's love and that essentially we lack nothing and are not broken in any way. Lack, scarcity, and brokenness only occurs on the path of the ego. The path of the spirit knows nothing of this because it is not real but illusionary. On the path of the spirit we come to the awareness that everything is basically okay in spite of the drama we experience in our ego world. 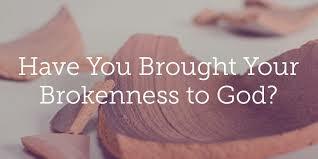 Bottom line is that brokenness is not real. We are part of God's love which is Unconditional Love. This is the Universalist faith which we have inherited and it is our honor and privilege to extend to others.